Sure, the words "hockey" and "Oklahoma" are not often paired—but there is hockey in Oklahoma, and Hagan is very much into it! 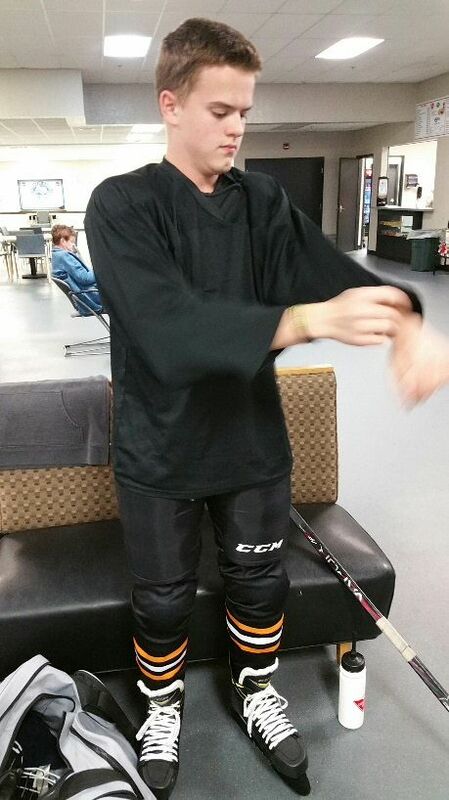 Last year Hagan played on a house league team at Arctic Edge arena in Edmond, OK, as part of the Youth Hockey League. His team, the Penguins, ended up winning the league championship for their age division. This year he moves up into the high school house league (14–18 year old). His team this year is the Sharks, and his coach is Mike McEwan. His practice starts tonight (Oct. 15) and games start in a few weeks.